You see people walking just about everywhere these days. While walking can help you stay healthier and physically fit, it can also be extremely dangerous. Tragically, the number of pedestrian traffic deaths increased by 11 percent last year, according to a recent report by the Governors Highway Safety Association, making 2016 the largest increase in pedestrian deaths ever. Here are some of the reasons for the rise in pedestrian traffic deaths, along with a few considerations and warnings. One reason for the rise in pedestrian deaths is the increase of motorists on the roads. This is largely due to improved economic conditions, along with somewhat lower gas prices. Drivers and pedestrians using cell phones and texting while driving and walking is a huge factor. Because people talking, texting and engaging on social media on mobile phones are easily distracted, pedestrian accidents can easily happen. Another reason that more and more Americans are walking these days is the popularity of activity trackers, which are able to record the number of steps a user takes in a day. It’s becoming trendier to walk to work, which increases the number of pedestrians on the streets. Vehicle speeds are higher, which leads to pedestrians being more at risk for being struck. Additionally, more people are walking now because they’re concerned about protecting the environment and decreasing the amount of carbon emissions in the atmosphere. Only walk in safe areas. For example, use sidewalks, when possible. When no sidewalk is available, always walk on the side of the road that faces traffic so that you’ll be more visible to drivers. Don’t walk along roadways or highways where it’s illegal to walk. When walking near traffic, don’t use your phone or any other type of electronic gadgets as they can easily distract you. Don’t use headphones when walking near traffic. Besides being able to see what’s going on around you, you also need to listen carefully. Never walk when under the influence of alcohol, drugs or other strong medications. When you cross the street, use crosswalks. If there’s none available, use the most well-lit area on a road to cross. Only cross when you see an opening wide enough to walk safely across the street. Be familiar with and follow all traffic regulations, signals and signs. Always make good eye contact with drivers. Don’t assume a driver will grant you the right of way. When walking in daylight, wear bright colors, but at night wear reflective clothing or clothes that are lightly colored. Carry a flashlight when you walk at night. Be sure your presence isn’t hidden by parked cars, hedges or buses before you cross a street. Don’t cross a street between parked vehicles as well as at the back or front of larger vehicles or buses. 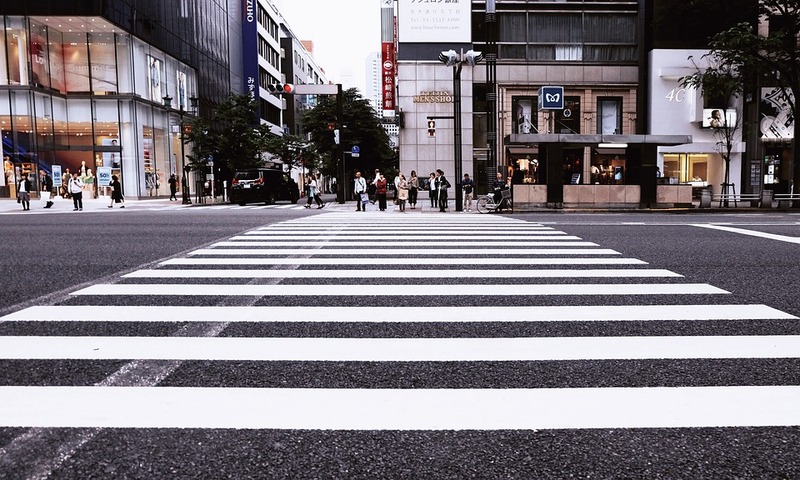 Some pedestrians are more at risk than others for being killed in a traffic accident. These populations include older people, ages 65 and older, as well as children. Alcohol-impaired drivers and pedestrians are also more at risk because having too much alcohol in your blood can cause slower reflexes and faulty judgment. Larger urban centers tend to have more pedestrian deaths. If you’re a pedestrian you’re 5 times, more likely to be killed in a traffic accident than if you were a passenger in a vehicle. Some states are more dangerous for pedestrians than others. While New Mexico had the highest number of pedestrian fatalities last year, Minnesota had the least number, making it the safest state for pedestrians. Motorists are just as responsible as walkers are when it comes to safety. However, in some cases, even the safest drivers can get tickets for traffic violations. To learn more about our online traffic school and how our defensive driving course can dismiss traffic citations, besides reduce insurance costs, please contact us.